Only at Disney can you rekindle that spark you had as a child, laugh, and play stress-free like a kid again! Imagine being able to be that kid again along with your own kids! I love being part of making this unique experience a reality for my guests. I live in Southern Maine with my husband and two children. 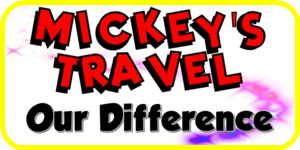 We travel to Disney World 2-3 times a year and also enjoy the Disney Cruise Line. I have graduated from the Disney College of Knowledge and have had many years as an experienced Disney Vacationer. I have planned intimate honeymoons to large family reunions…. from Girls’ Only Weekends to Run Disney Event Weekends! One of the greatest reasons to take a Disney vacation, is because your vacation can be completely customized for you and your family! With the hundreds of experiences that Disney offers, it can be overwhelming trying to plan one yourself. Knowing the options Disney has, I will get to know you as I create a Disney vacation tailored to your family’s needs and wants. 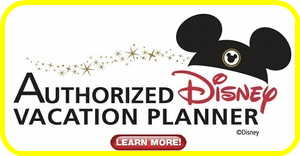 It is my honor to assist you in planning your dream Disney vacation!